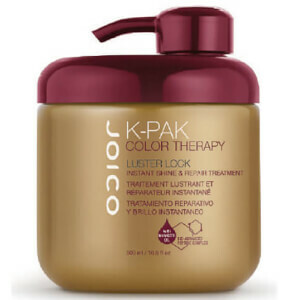 Simultaneously strengthen and shield locks from harmful heat damage with the Colour Therapy Lustre Lock Multi-Perfector Daily Shine and Protect Spray from Joico’s K-Pak range; a dual-phase leave-in spray that fuses the hydrating benefits of exotic oils with a unique, damage-control formula. 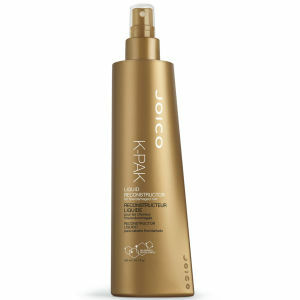 Creating a lotion-like dose of nourishment with every shake of the bottle, the formula locks in more than 89% of colour vibrancy after ten shampoos and deeply strengthens strands, reducing the appearance of split ends and frizz. 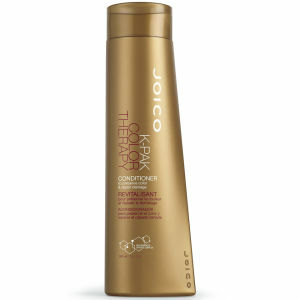 Suitable for all hair types, colours, textures and lengths, the formula allows you to feel the joy of instant, tension-free wet combing as it swiftly detangles knots and coats tresses in protection against UV and heat-styling damage. 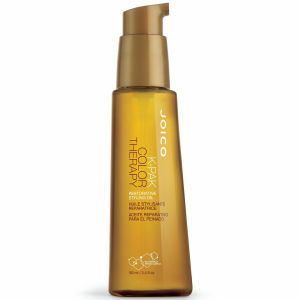 Expect stronger, healthier strands that shine with vibrancy. Rist godt. Påfør i rent, fuktig hår. Gre gjennom håret, føn håret tørt og style på vanlig måte.